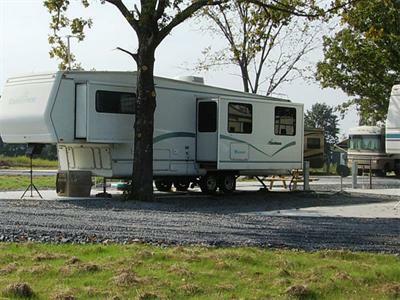 Passing thru on the way to Branson, Missouri, or staying a month to explore the foothills of the Ozarks, enjoy the convenience and peaceful setting of Clinton RV Park located at 2521 Hwy 65 S. in Clinton, Arkansas. Clinton offers a peaceful hometown environment. Basketball, football, rodeo, water sports, fishing, hunting, etc. it's all here. Visit our quaint museums, shop at antique shops and flea markets, or take the short drive up hwy 65 to the Antique Warehouse (featured in Southern Living magazine). Two golf courses, two full service marinas on Greers Ferry Lake, hiking and biking trails, historic Indian rock shelter cave, horseback riding, hometown movie theater, city parks, and much more located within a 20 mile radius. Medical facilities and Wal-Mart super center less than a mile away. Clinton hosts the Archey Fork Festival each May and Chuckwagon World Championship Races during Labor Day weekend. 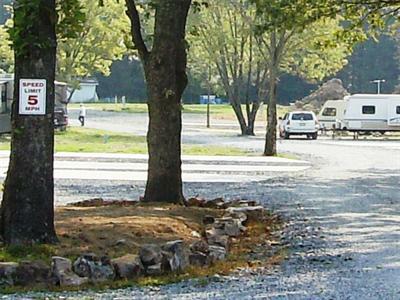 The beauty of the Ozarks forms the backdrop for Clinton RV Park, our campground in Clinton, Arkansas. Join us for fabulous family camping activities like fishing and boating, hiking, golfing, horseback riding, exploring flea markets, and much more. With our excellent local attractions, friendly service, and peaceful setting, we know you're going to love Ozark camping with us. Plan your visit today with our easy-to-use online reservations system. 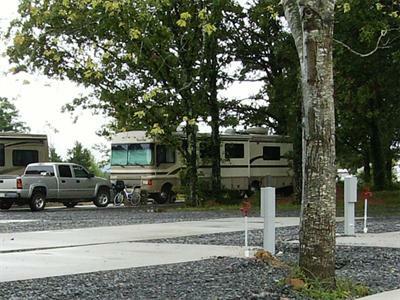 Clinton RV Park is conveniently set off US Highway 65, just 70 miles north of Little Rock, Arkansas. Enjoy a day trip to Little Rock (70 miles south) to see the historic William J Clinton Presidential Library, Heifer Project International headquarters, historic State House, State Capitol, Little Rock Central High, and Old Mill featured in the beginning of the movie 'Gone With the Wind', etc. We're just 106 miles from the outstanding shows and live music of Branson, Missouri, and 112 miles from Hot Springs National Park. Closer to home, you'll love fishing and boating on Greers Ferry Lake and Little Red River, just five miles away from camp. Clinton RV Park is near attractions like the Ozark Folk Center, where history comes to life and you can learn about traditional crafts and skills. Visit the Blanchard Springs Caverns for a cave tour or head to the Buffalo National River for a day of bass and trout fishing. If flea markets and antiques are what you're after, spend some time exploring local towns like Fairfield Bay, Mountain View, and Conway. 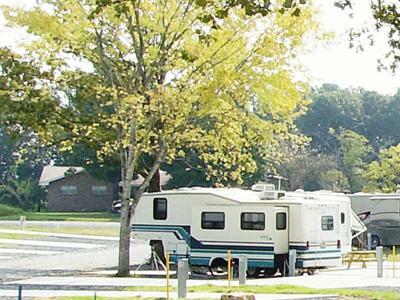 We offer super facilities at Clinton RV Park, from our full hook-ups to free wi-fi wireless internet access. You'll enjoy up to 50 amps of power, concrete parking pads, clean laundry facilities, and propane. We have both back-ins and pull-thru sites available, and we also offer free cable TV. Whether you come for the golfing, the cave tours, the local theater, or the sight seeing, we know you're going to have a great time in the Ozarks. Join us and see all that Arkansas camping has to offer! Click on link below to see our Terms and Conditions.